On 4 February 2018, we will perform Psychoplum! at Barbès, in Brooklyn. This preview will be only a first step for a great journey! 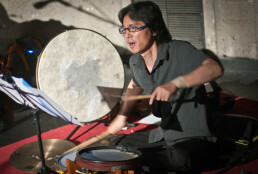 Satoshi Takeishi, drummer, percussionist, and arranger is a native of Mito, Japan. While at Berklee he developed an interest in the music of South America and went to live in Colombia following the invitation of a friend. He spent four years there and forged many musical and personal relationships. His interest expanded to the rhythms and melodies of the Middle East where he studied and performed with Armenian-American oud master Joe Zeytoonian. 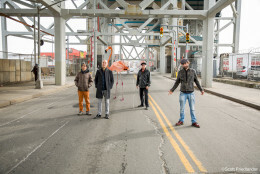 Since moving to New York in 1991 he has performed and recorded in vast variety of genre, from world music, jazz, contemporary classical music to experimental electronic music.